Walled Rose Garden at Biltmore, Asheville, NC. 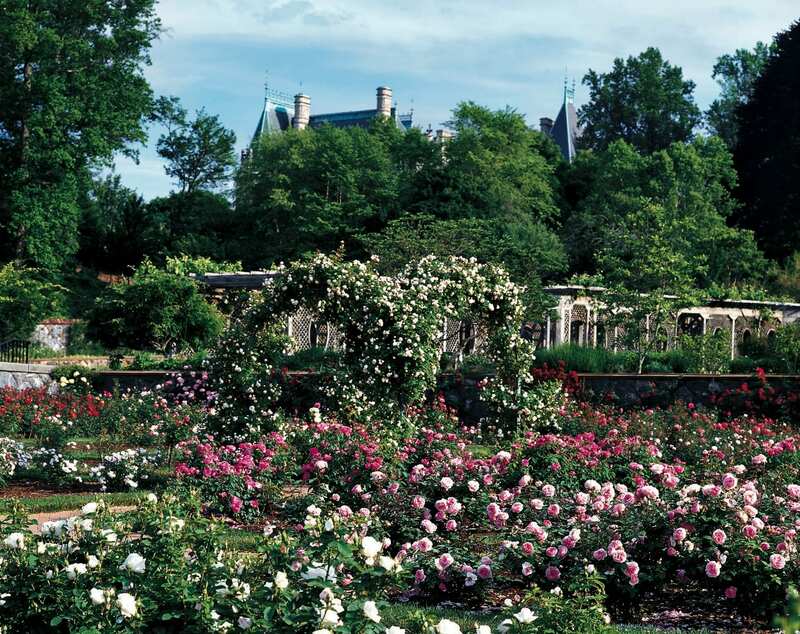 Paul is the exclusive rose consultant to Biltmore in Asheville, NC. While living in Los Angeles, Paul Zimmerman owned Hundred Acre Woods Rosescaping, a service that maintained over 70 rose gardens, consulted with landscapers and home owners on their rose gardens and designed new rose gardens. He owned and operated the rose nursery Ashdown Roses for close to a decade. Paul brings all this varying experience with him when he works with you in your rose garden or helps you create one. We offer these services nationwide and for some also overseas. Much can be done via email and phone, which keeps travel (if needed at all) to a minimum. Transition your garden from chemical to non-chemical care methods. Develop a protocol to start a new garden off sustainably and stay that way. Establish regular maintenance protocols using sustainable methods. We design gardens literally from the ground up. It all starts with the soil and that starts by tailor designing an amendment protocol to bring your soil to life. Paul works with you on design, rose selection and structures. He then sources the roses via his network of extensive nursery contacts. Paul oversees planting with your crew or a third party. The goal is to get you the rose garden of your dreams that can be cared for using sustainable methods. Paul’s travels to rose gardens around the world bring a worldwide perspective to your garden. We have relationships with most of the top rose nurseries in the United States and Canada. We can help you find rare varieties but excel at finding large quantities of roses at good prices. We know who has the best quality and always use those nurseries. We can even help with variety selection to help you pick the best for beauty, health and vigor. Need some help selecting new varieties? Are you roses just not performing like they should? Is there too much disease in your garden? We can help on all things roses when it comes to your garden. What we don’t know we can find out via our worldwide contacts. So, if you are just looking for some rosy advice on your garden we can help. It can be on going or just one time. We bill by hourly rates so it’s flexible. If you are a landscape designer and would like some help on your design in any of the above areas we can help. If your project involves an intensive rose portion and you’d like us to review your variety selection. your care protocols or help you find the actual roses call on us.